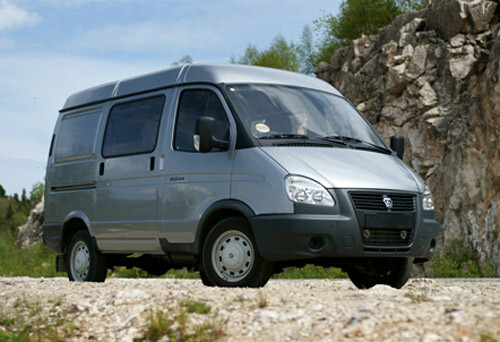 Vehicle called Sobol is light utility cargo van with total weight of 2.8 ton, disposing of as far as 7 seats. If GAZelle is too big for you, but you are not willing to give up on tough ladder type frame and 4x4 drive with reduction, Sobol is compromise just for you! Solid rear axles mounted on leaf springs allows to load the vehicle with 350 kg of the cargo in case of 7 seats version. In case of versions with less seats, the payload rises. 4x4 drive is permanent type, you are able to chose central differential lock on demand as well. Currently only VAN body typer is available, but on special request we are able to supply Sobol also in 3 seats lorry or tipper single cab version.